Call 800-298-8924 to order Polar Hardware enclosed trailer parts part number PLR7011S or order online at etrailer.com. Free expert support on all Polar Hardware products. 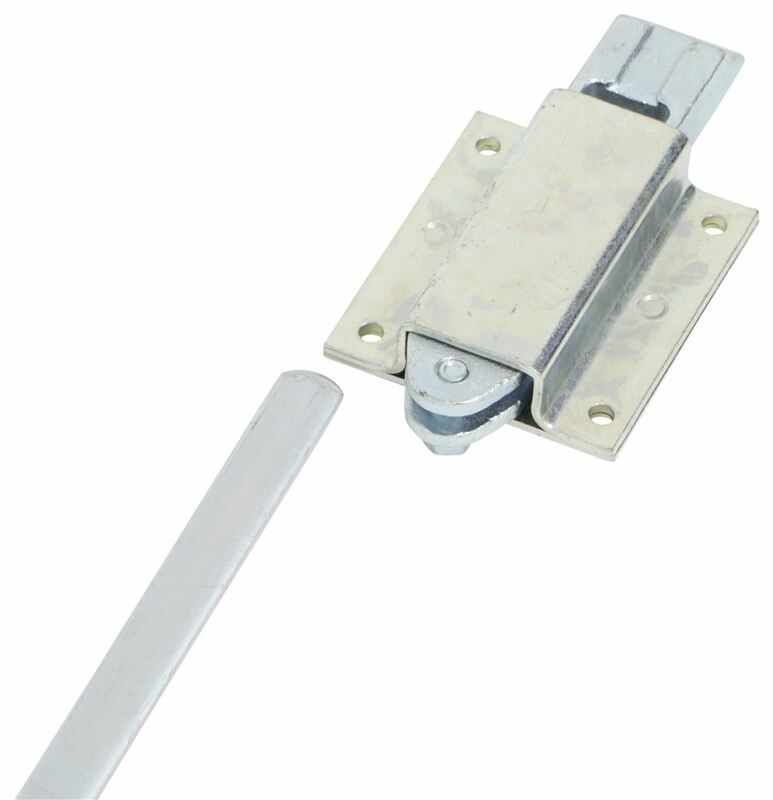 Guaranteed Lowest Price and Fastest Shipping for Deadbolt Lock with Inside Safety Release - 3 Point - Zinc-Plated Steel. Enclosed Trailer Parts reviews from real customers. 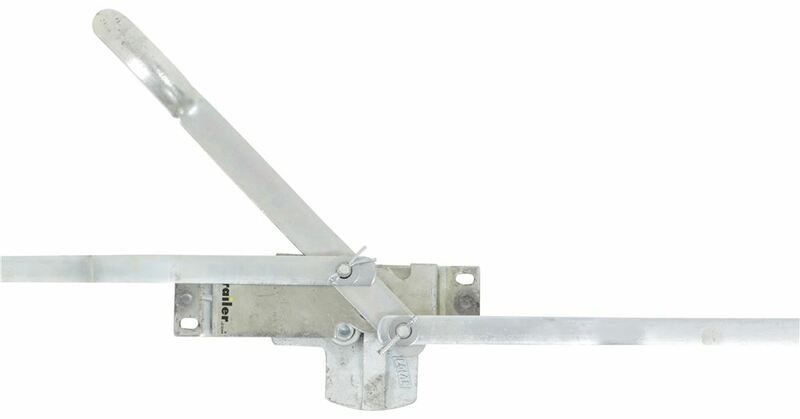 Steel cam-action door latch with 1" wide hasp is ideal for small enclosed cargo trailers. Can be installed flush on doors with a 3/4" offset. Positive double-action handle protects against in-transit jarring. 3/4" Pipe not included. 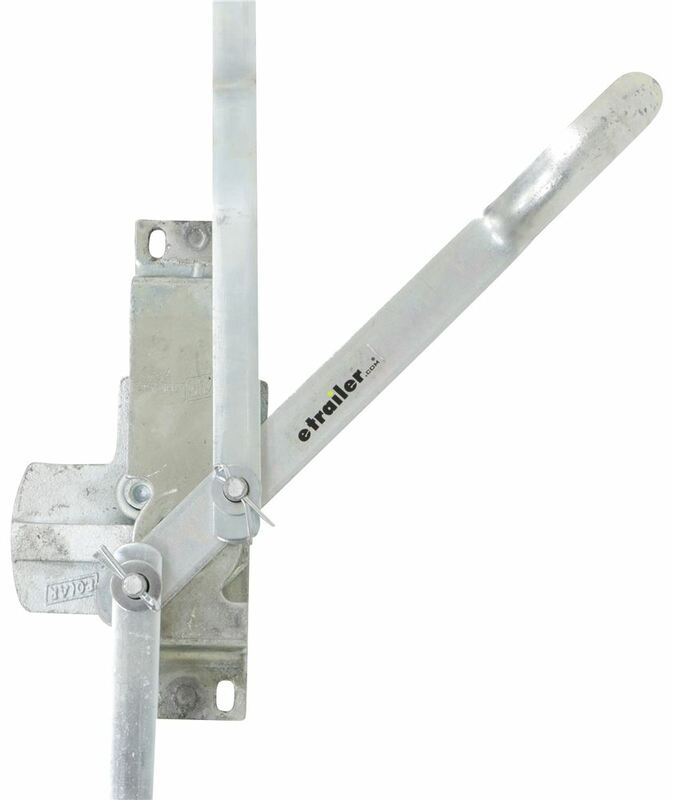 Stainless steel anti-rack cam-action door latch is ideal for large trailers and can be installed flush on doors with a 3/4" offset. Pipe retainers allow the pipe to be positioned closer to the edge of your door. 3/4" Pipe not included. The Polar T-Handle Latch # PLR5730 that you referenced does just feature the two arms as contact points with the door jamb. You could potentially fabricate something for the back of the unit to engage with the jamb as well but there is not a short arm on the latch for this purpose. We do have deadbolt type locks that feature a 3-point design like the Polar # PLR7011S that you might be interested in.